Decentralised marketplaces are indeed a good concept in every sense of the word and theory, but their proper implementation can have a full blown influence on several other factors and impact our day to day life in a more positive way. The Blockchain powered online marketplace is indeed in for a huge difference. How beneficial is it for the commoners? Let us find out in the following post. Well, the most important aspect of Blockchain technology is it does not need your personal information. This assumes even more important in view of the recent attack on Facebook for compromising user information and their privacy. Blockchain removes the intermediaries from a system and thus can work towards developing an ecosystem where every transaction is traceable and thus introduces a high level of security and transparency. Given the pace at which Blockchain technology has been growing, it has become quite essential to tap the benefits of the technology for enhancements in the sector of online marketplaces. There have been a few services that have forayed into the arena and have been experimenting with the idea. Soma which stands for the Social market can be cited as one such initiative in the right direction. The Finland based digital platform has been into building a P2P based online marketplace where users can buy and sell goods and services in a secure environment. The services offered are represented through the Cards in a completely transparent system powered by Blockchain technology. In such a setup, users can be encouraged to interact with each other in a mutually beneficial manner. They are rewarded or incentivized through the cryptocurrency. This model will go a long way in enhancing the level of performance of the members in adding value, thereby making it an excellent means of ensuring a faster, secure and cost-effective way to compensate. Well, Blockchain is developing as yet and it may take a while to reap the benefits of the system in the right spirit. 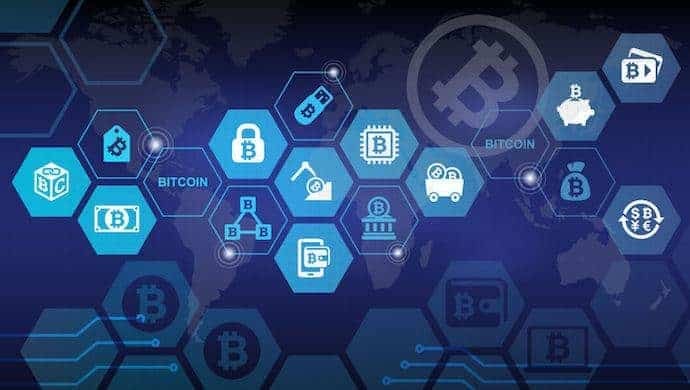 Bringing up the Blockchain technology into the mainstream is a matter of a few years to come until it finds a widespread recognition. However, the interest it has generated is worth the effort and initiatives like those in Soma indeed need to be recognized. Banking sector can benefit considerably from the Blockchain technology. In fact, several banks across the world have been considering embracing the technology. If that happens, we would definitely find it to be benefitting the sector and improving the services – thanks to the transparency and security offered by the technology. Well, it would indeed take a research paper to delve into the intricacies of the Blockchain technology and its impact on the online marketplace. But, attempts are on to bring the concept into the mainstream. It may not be easy to predict a time frame to when this will happen, but when that happens, it will redefine the sector for good.